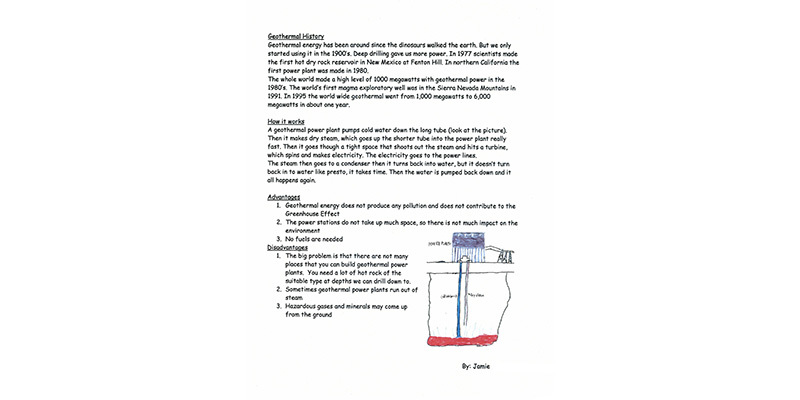 Third and fourth grade students at the Santa Fe School for Arts and Sciences in Santa Fe, New Mexico created a guide on energy sources and alternative energy. The book was created for younger children and though largely text-based, includes drawings as well. The goal was to introduce students to all of the different possibilities and environmental implications for generating energy. I can conduct a research project to become knowledgeable about a topic.